Help Improve Our Software By Becoming a Beta Tester! A Beta Tester is someone who tests pre-release "beta" versions of our MIDAS scheduling software and reports any issues/glitches they encounter to us so that we can resolve them before the release becomes publicly available. Can anyone become a BETA Tester? Yes! Whether you're an existing MIDAS user or not, you can apply to become a BETA Tester. You don't need any programming experience or knowledge, there's nothing to download... and it's completely FREE! 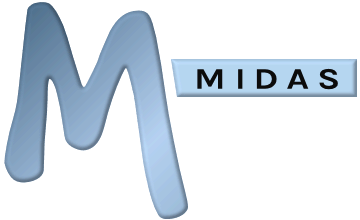 A few weeks before each significant new version of MIDAS is due to be released (we currently release significant updates approx 3-4 times a year), we'll email you inviting you to beta test it. You'll be provided with a link and a user account to our online Beta Test Suite, where you'll be able to login and start testing in your web browser. The email we'll send will also include details of what's new, improved, or changed in the new version, and details of anything specific we'd like your help in testing for the new version. We want to recognize, acknowledge, and reward the valuable contribution Beta testers make to the success of our software! As a Beta Tester, every bug you report in a pre-release "beta" test is assessed for its severity and likelihood and logged. Once the version you've been testing is fully released, then if you're already a MIDAS customer, we'll credit* your account with an amount based on the number of bugs you reported, their severity, and likelihood of occurrence. This credit can then be applied to future support subscription renewals and/or upgrades and addons for your MIDAS system. If you're not yet a customer, the same credit will be available as a discount off your initial MIDAS purchase*. What's more if you regularly partake in our beta tests you'll get an acknowledgment in the software credits too! * Credits may only be used against our MIDAS software, subscriptions, addons and upgrades and have no cash equivalent.